This was a nice project. The client wanted to replace a dull standard cabinet with a mirrored cabinet and shelf. 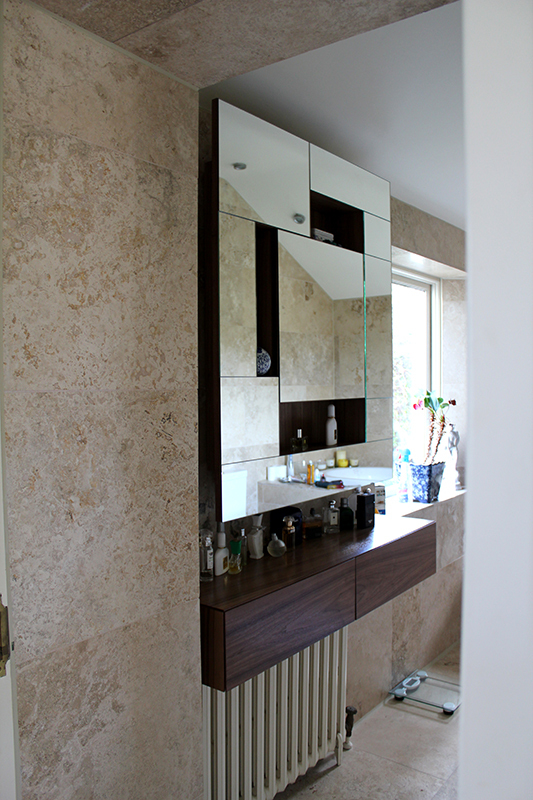 It was a simple brief : Mirror, storage, visually interesting and not your standard crap! So this is our solution. 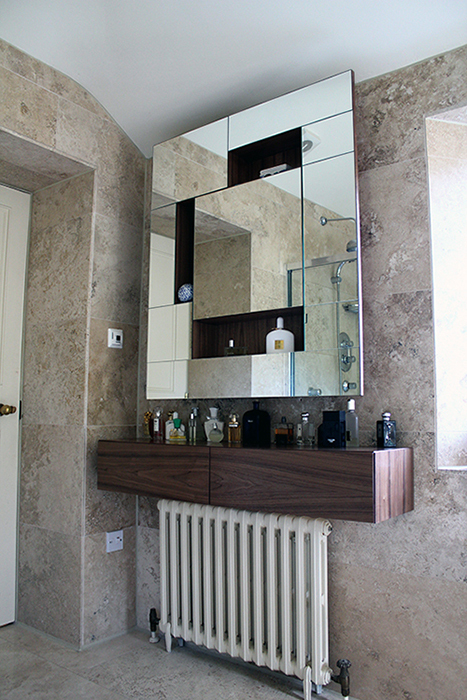 Random mirrors with storage behind some of the panels and a floating drawer unit in walnut veneer. All finished in a tough wearing lacquer, suitable for bathrooms. Have a bathroom? Want a different cabinet? Need mirrors? Drop us a mail and we can sort it!